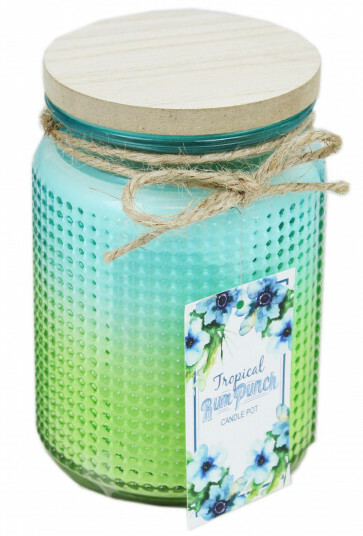 Set the tropically vibrant scent of rum punch free! 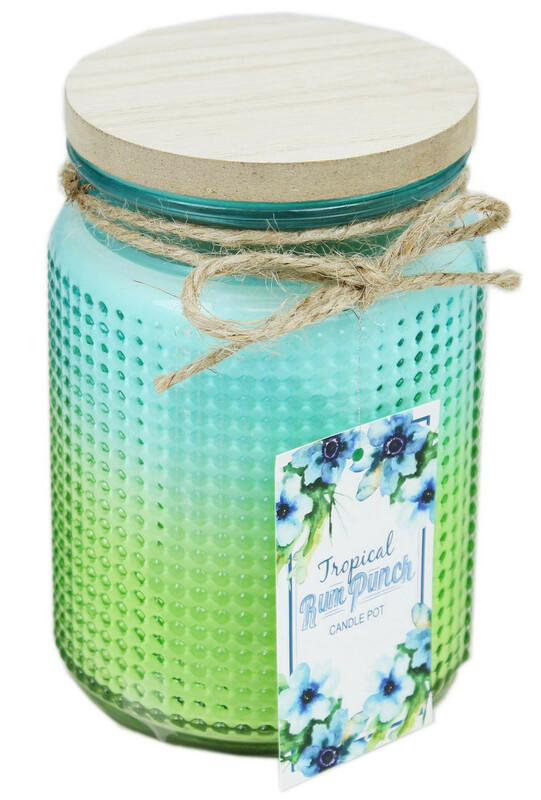 Gorgeous glass jar with a two tone design embossed with dimples. The candle itself is scented with a glorious tropical aroma that, once lit, will fill your home with the essence of paradise. Fabulous for giving your ambience a kickstart, removing cooking odours or just to add a splash of vibrant colour to a space. It's such a wonderful design, it's great to give as a gift and will bring smiles all round.